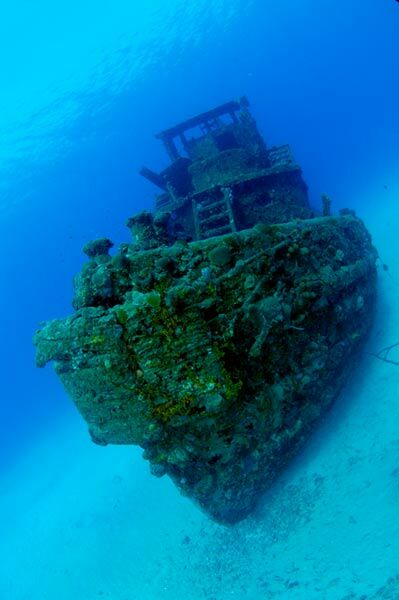 WRECK DIVING ON ST CROIX US VIRGIN ISLANDS Caribbean Wreck Diving At Its Best. 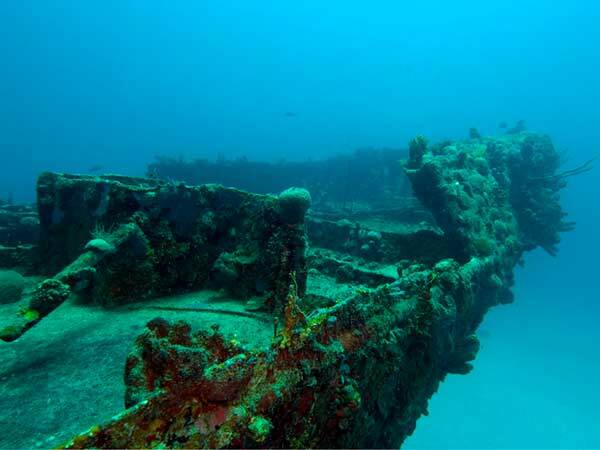 There are five wrecks within about 100 yards of each other located at Butler Bay on St. Croix's west shore. In addition you can also see part of a hydrolab that was used by NOAA for submersion diving research. 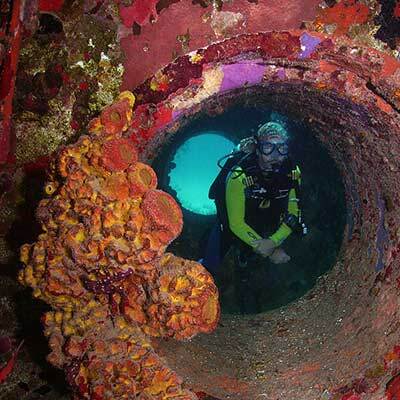 Typically we dive the wrecks as two different dives. There's some light penetration that can be done on some of the wrecks. Three Shallow wrecks including the trawler, oil barge, and a tug boat that was used as a prop in the movie "Dreams of Gold - The Mel Fisher Story". 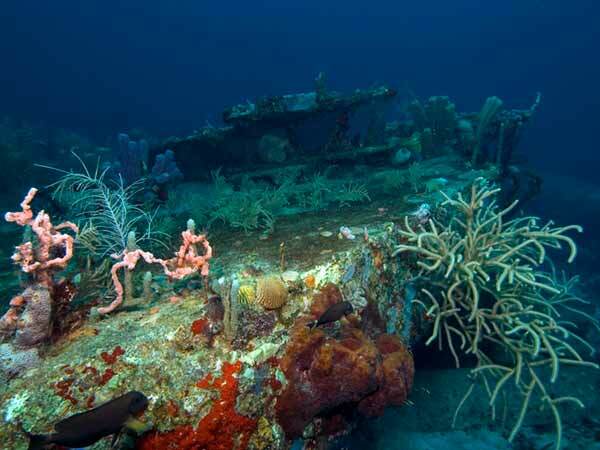 Two deep wrecks. The freighter (it's deepest point is 108') and the newest wreck, a tug boat.